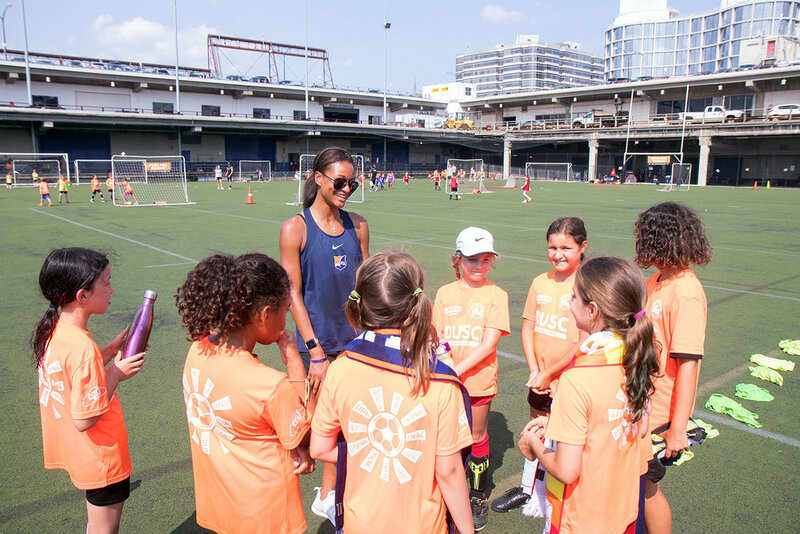 Imani Dorsey, the NWSL Rookie of the Year and Sky Blue FC player, joined DUSC Pier 40 Summer Camp to share her experience and story with the next generation of soccer players. 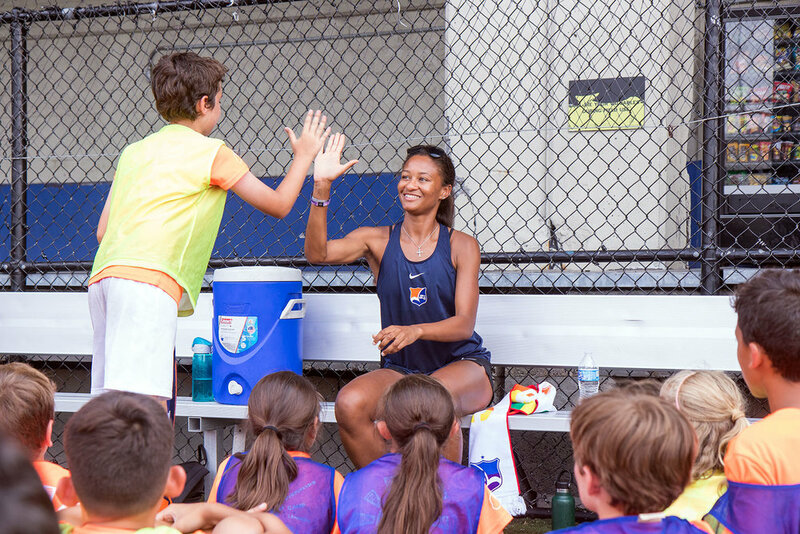 It was great for the campers to meet a professional soccer player up close and learn about the focus, commitment and effort required to be a top level player. Thank you, Imani! DUSC Program Director Adam Norse. 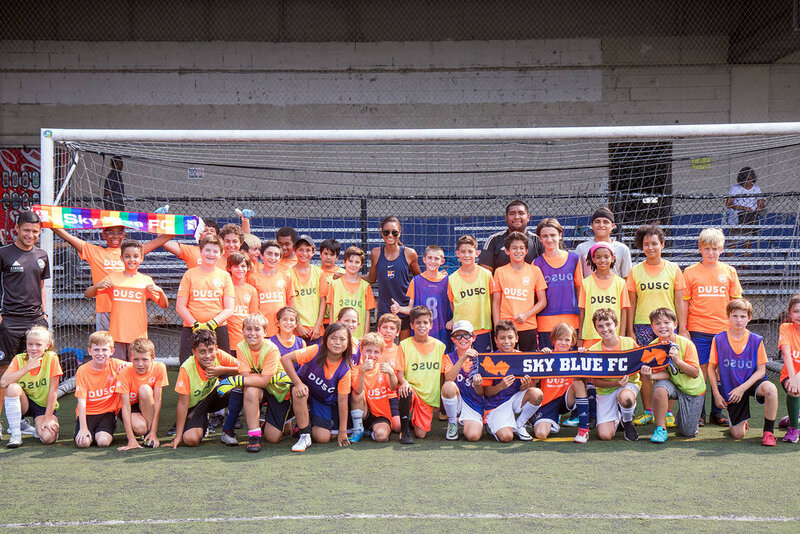 The visit was part of an ongoing partnership between Downtown United Soccer Club and Sky Blue FC. 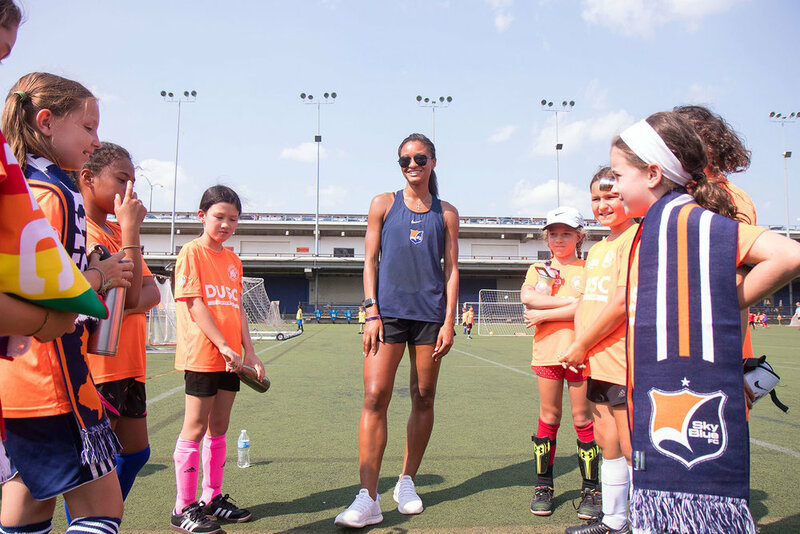 The Sky Blue FC roster includes a number of National Team players from the U.S. and abroad. 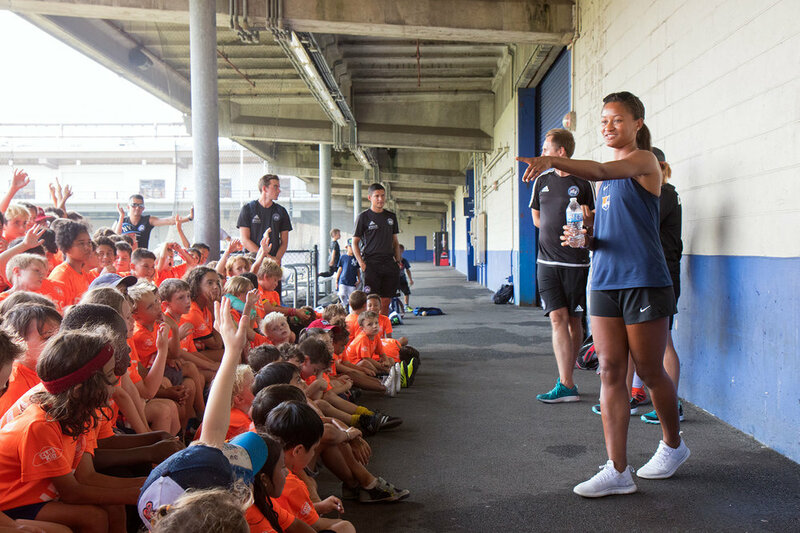 They include USWNT stalwart Carli Loyd and striker Savannah McCaskill. Janine Beckie and goalkeeper Kailen Sheridan join Sky Blue FC from the Canadian National Team and Kaitie Johnson represents Mexico. National champion and team MVP Rocky Rodriguez from Penn State is an international with Costa Rica.